New Delhi: Judge O.P. Saini reserved his order till 3 November on bail pleas of Rajya Sabha member K. Kanimozhi and six others in the second-generation (2G) spectrum case on Monday, while accused Reliance Telecom Ltd moved a writ petition before the Delhi high court asking that Saturday’s order on charges be quashed. Uday U. Lalit, special public prosecutor in the case, said he won’t oppose bail for Kanimozhi, Kalaignar TV’s managing director Sharad Kumar, promoter of Cineyug Films Pvt. Ltd Karim Morani, and directors of Kusegaon Fruits and Vegetables Asif Balwa and Rajiv Aggarwal. This is the first time the prosecution has chosen not to oppose bail for any of the accused in the 2G case. “Of course bail should be granted to them subject to discretion of the court, which may impose certain conditions to ensure their presence during the hearings," Lalit said in court. But Lalit opposed the granting of bail to Shahid Balwa, promoter of Swan Telecom and DB Realty, and R.K. Chandolia, former private secretary to ex-telecom minister A. Raja. “Let’s put Shahid Balwa and Chandolia in different category at this stage... I submit one can make distinction so far as those for whom maximum punishment can be five years and those against whom maximum punishment can be seven years," Lalit told Saini, who is presiding over the special Central Bureau of Investigation (CBI) court. Judge Saini framed charges against all 14 accused and three companies in the case on Saturday. 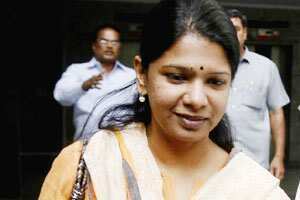 Raja, former telecom secretary Siddhartha Behura and Kanimozhi could face life terms if convicted. They are being charged with criminal breach of trust by a public servant, an additional charge since they allegedly used public office during the commission of the offence. Reliance’s petition to the high court names CBI, the Telecom Regulatory Authority of India, the department of telecom and the Union law ministry as respondents. The company wants all charges against its three executives—Gautam Doshi, Hari Nair and Surendra Pipara—and the company to be quashed on the grounds that there is no offence of criminal conspiracy made out against them. Reliance, which originally owned Swan Telecom, said in a statement, “Swan Telecom application (was) filed months before Raja even became telecom minister." The allegation is that Raja, Reliance and Swan jointly conspired to ensure that Swan was granted telecom licences in the 13 circles where Reliance did not have licences. Another allegation is that Swan was masquerading as a “front: company for Reliance, to which the company said, “Prosecution concedes Reliance fully exited Swan Telecom much before licence (was) issued." The company plans to use the recent opinion of the law ministry on the definition of an associate company, since CBI has termed Swan an “associate" company of Reliance in the charge-sheet. Judge Saini told defence lawyers he was upset by their remarks about him recording his charge order that all the accused were pleading not guilty to the charges. On Saturday, some defence lawyers, in particular Raja’s counsel Sushil Kumar, raised objections to Saini assuming that all of them were going to plead not guilty to all charges. Then they complained to the media that Saini was making assumptions on their behalf. On Monday, the usually taciturn Saini told the lawyers, “You (defence counsel) people argued for about three months to plead not guilty and then you all told the media that the judge has committed a mistake. “You all argued so extensively on framing of charges and it means that you were not pleading guilty and would claim trial. If I wrote it in the order, then what was wrong in it?" the judge told the lawyers.